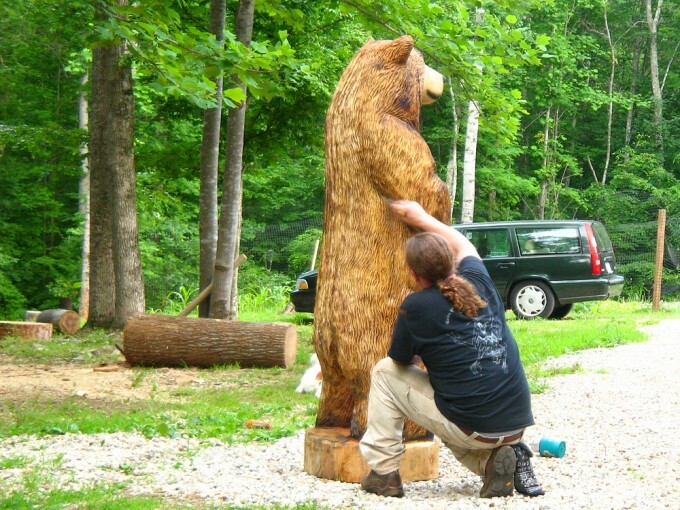 Mark just carved this 3'2" brown bear cutie. 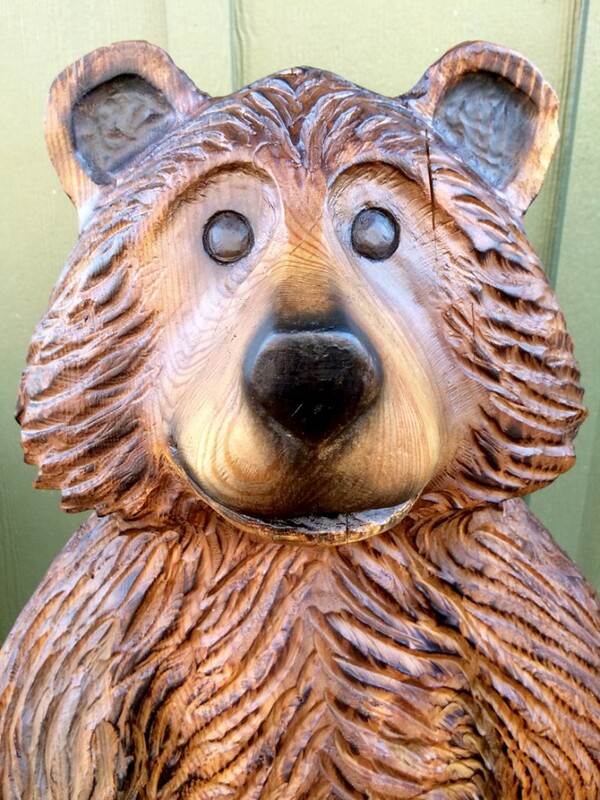 It reminds me of a Teddy Bear and the name Poppyseed popped in my head. 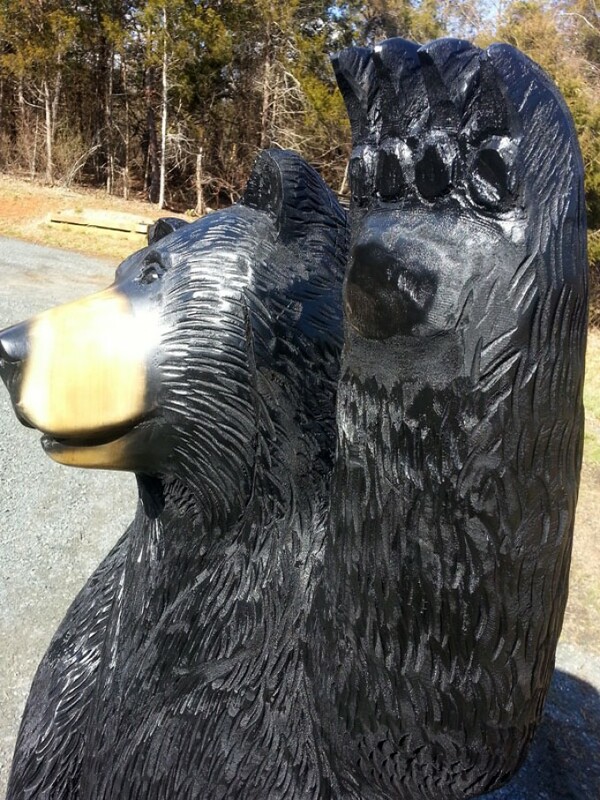 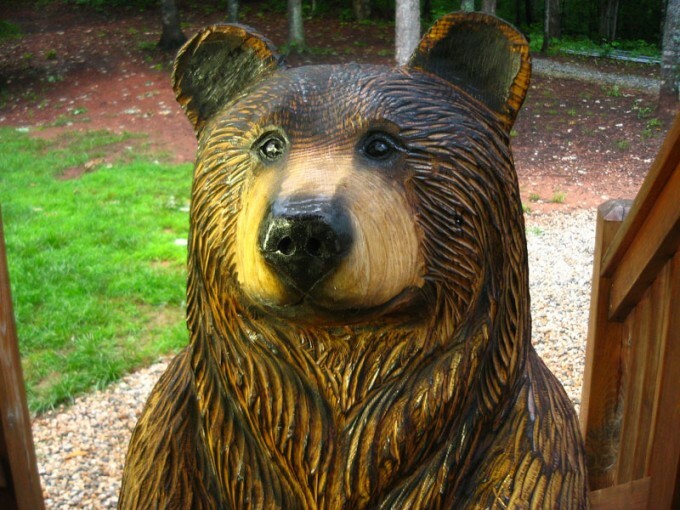 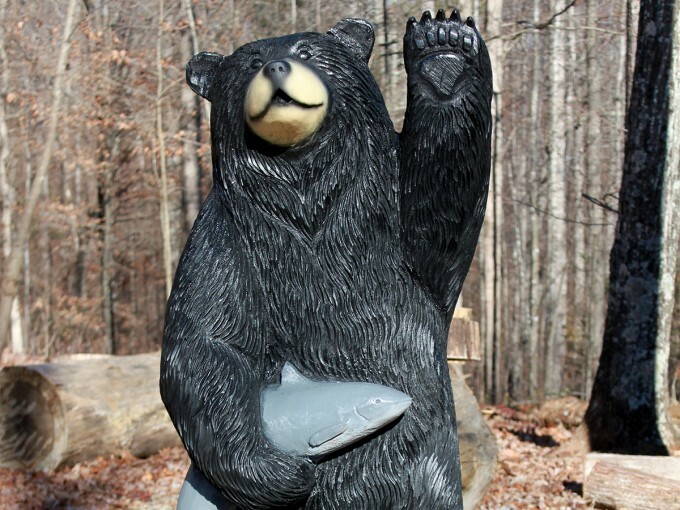 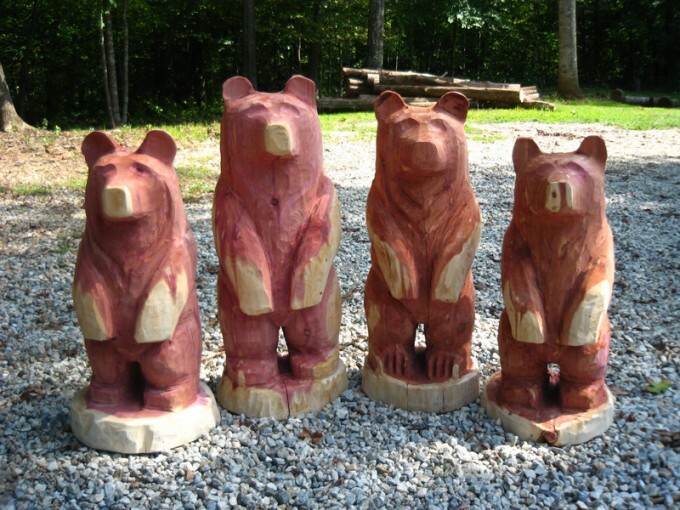 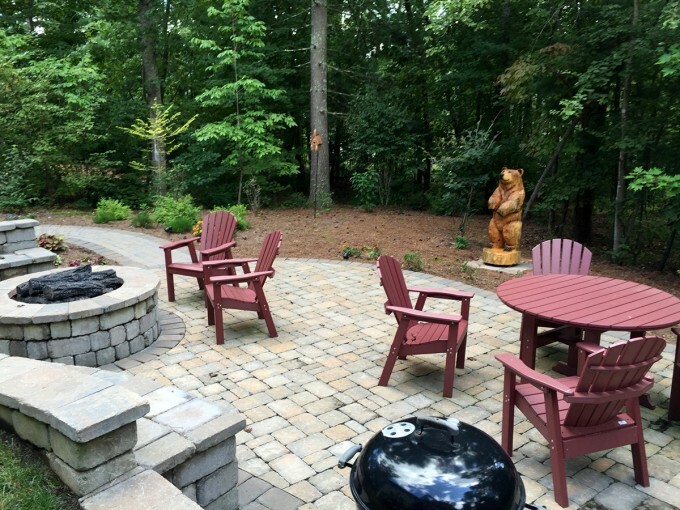 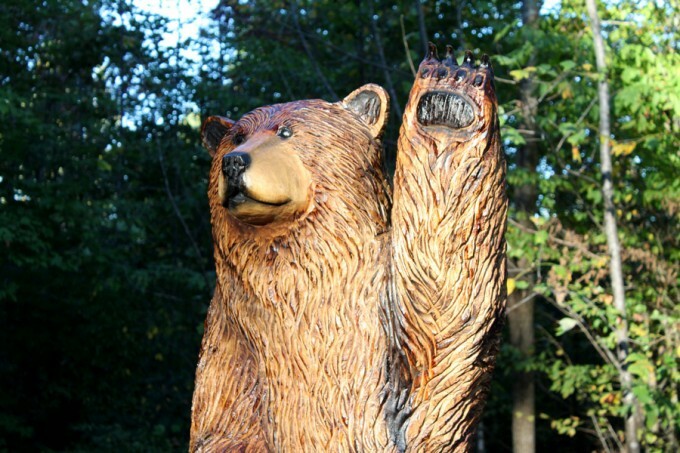 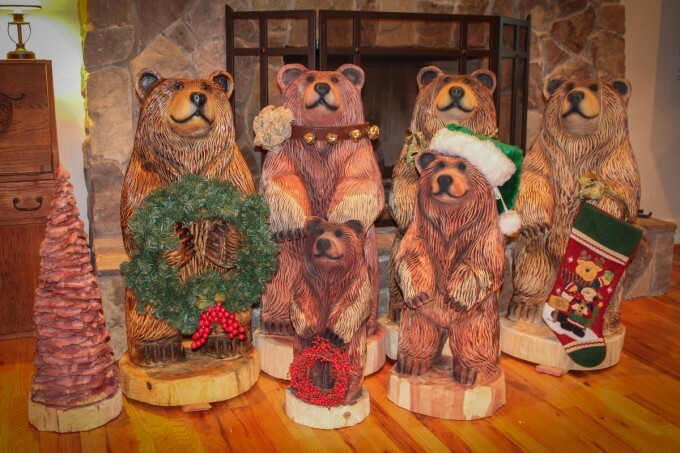 Mark's latest sculpture is a 5-1/2' black bear waving at his onlookers.